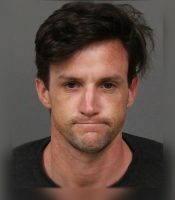 A thief who got caught breaking into a San Luis Obispo home and stealing a bicycle faces up to seven years in prison, according to the SLO County District Attorney’s Office. A jury convicted Cole Benjamin Malone of burglary on Monday. On the night of Aug. 31, 2016, a child reported hearing noise in the garage of a home. The homeowner then found Malone, 33, alone in the garage, where he was stealing a bicycle. After the homeowner spotted Malone, the thief immediately fled the scene but was quickly caught and subdued by the victim and neighbors. SLO police officers arrived at the scene and arrested Malone. Last month, Malone stood trial over four days on a charge of burglary and two drug related charges. Malone’s attorney Scott Taylor argued that Malone was high when he entered the garage and took the bike and that he should have been convicted with theft and not burglary. Then following two days of deliberation, a San Luis Obispo jury convicted him of first-degree residential burglary while finding Malone not guilty of the drug charges. Residential burglary counts as a violent crime, as well as a strike under California’s Three Strikes law. Malone previously served a prison sentence for grand theft in 2013. Because of his prior conviction, he faces the possibility of spending one additional year in prison, bringing his potential sentence to up to seven years in state prison. Following Monday’s verdict, District Attorney Dan Dow released a statement describing residential burglary as a particularly dangerous crime. Malone’s sentencing is scheduled for Oct. 30 in the courtroom of Judge Dodie Harmon.